Tom Clancy games conjure imagery of tight tactical shooters, defined by their attention to detail and their difficult engagements in harsh environments. 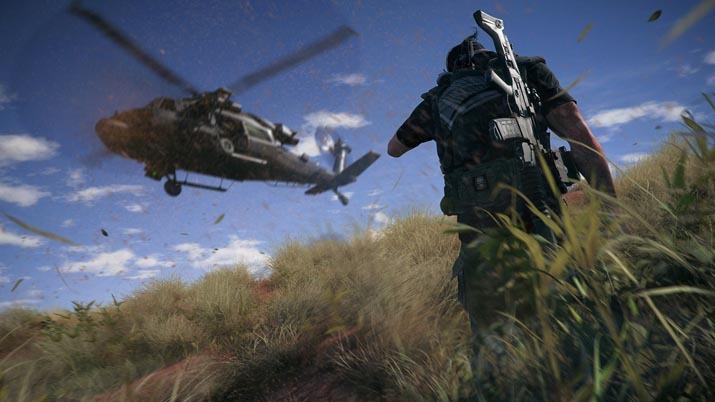 Certainly, there were multiplayer elements that shifted the focus away from that single player identity, but until their recent shift with The Division, Tom Clancy games represented a bit of a niche in the market for tactical shooter gamers. In an era that offered games such as Quake and Half-Life, the original Rainbow Six series was effective at developing the subtler nuances of what it meant to be a “shooter”. 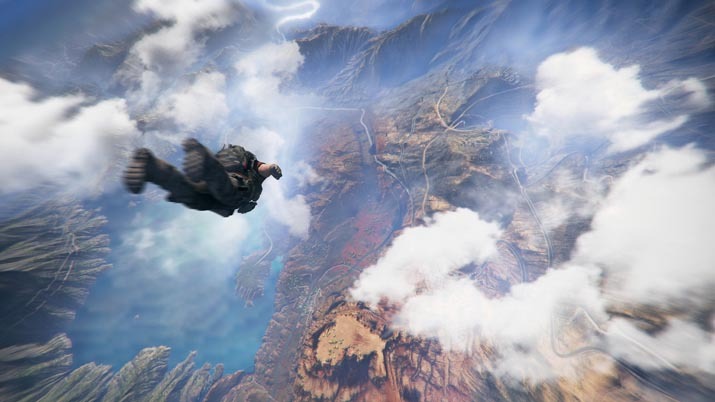 Ghost Recon Wildlands offers a stark contrast to the style that made the series so powerful, mostly because the developers took the opportunity to answer the ever-increasing call for open-world games. This isn’t to say that they didn’t do well, they did, but how well seems to be the bigger question. 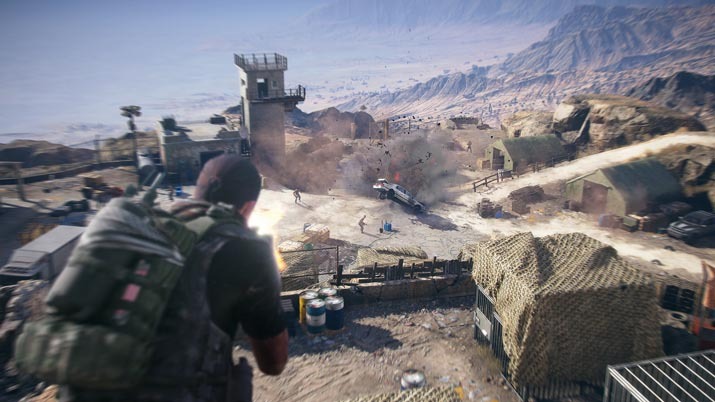 Wildlands is a set in Bolivia, in the not-too distant future, 2019. The Santa Blanca drug cartel runs the country, leading to an environment that is described as a “narco-state”. Although it seems strange that a universe based heavily on realism and certainly elements of history would allow an entire country to essentially be run by a drug cartel, that is the foundation of the story you are dropped into. Naturally, the only time that the elite team of soldiers ("ghosts") become involved is when an American is killed. After an initial video cut scene that is meant to provide character backgrounds and context, but falls flat in its writing and delivery, and therefore in its intent to help you identify with the characters, you can start the game. You do pick what your ghost soldier will look like prior to this cut scene -- meaning race, hair, scars, tattoos, and base equipment – which assists with identifying with the game more effectively than the cut scene allowed though. After tooling around all the options for a while, I settled on defining myself as a bearded man with a mean scowl on his face and a naturally deep set brow line. Determined to make the best of my opportunities in character creation, I chose a set of white-as-snow gear to demonstrate that I was a good guy and that I am bad at picking tactical equipment. It isn’t the deepest character creation I have seen, but how much more creation is needed from a game that is supposed to be foundationally built as a tactical shooter? Additionally, it might be nice to not run into pink-haired ridiculousness when trying to take the game seriously. There's a lot to like about Wildlands. There’s a lot to like about Wildlands, which I intend on detailing, but I want to take a long moment to point out what I consider to be one of the biggest weaknesses of this game that you get to experience immediately: driving. A friend of mine who had the opportunity to play the beta remarked that it reminded him of the old Dreamcast game Crazy Taxi. This might seem like a fairly nice thing to say because Dreamcast was ahead of its time, and should therefore always be remembered fondly, but that is not a good comparison at all for a AAA title in 2017. Considering the digital landscape that we live in and the enormous availability of driving games that have perfected driving in so many ways, there is no reason for the system that is present in this game. Motorcycles are weirdly paced and wild in their maneuverability mechanics. Cars are either way too fast or way too slow, and are impossibly hard to control, especially when considering that the majority of the Bolivian landscape is mountainous and windy in its road architecture. Your soldier doesn’t have super stamina to traverse the map, therefore vehicle travel is an absolute necessity, and it is awful. Although travelling within the world is frustrating, the fact that there is so much land to cover is one of the best things the game has to offer. Wildlands is huge, the map may very well rival the actual size of Bolivia in real life, and it feels that way when you are working your way from one cartel territory to another. When working through the linear storyline it is easy to stay in one geographic region for a while and therefore it might be difficult for you to notice if you play games on a mission by mission basis, but most people probably will want to take their team out for a spin pretty early on to see what’s out there, and it is in those moments you accidentally wander a significant distance from the place you started. 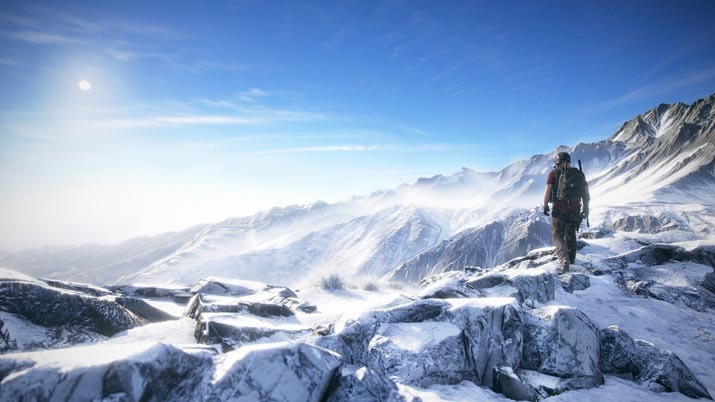 This is one of the beautiful things about open world games, and I am sure that many feel similarly, which is why it is so impressive that it happened so often. With every positive in Wildlands came a clear negative though. I was hopeful that I could simply run around the map killing off high level cartel members as I saw fit, and thereby establishing an easy route to the main boss El Sueno. I could not. It is all well and good jumping from mission to mission and getting small rewards for completing said missions, but to progress the game itself I often found myself running from one side of the map to the other to try and get story elements done. Once each of these was complete, a small video would play, or a radio transmission from my Bolivian contact, and I would be back on the hunt for a piece of intel, or interrogation of a key character. This all reminded me of the early days of MMORPG’s; days spent running from yellow exclamation point to yellow exclamation point in an effort to collect enough experience to escape the pit of hell that defined grinding. This game is not grind-ey at all, and in most cases the missions are fun and engaging, especially when playing with others online, but let’s call it what it is… Linear. You can gussy it up all you want, but no matter how many places I can run to, the game is linear at its core. The weapon and skill tree system is effectively implemented, albeit confusing.. We have seen through a variety of models that gamers seem to like opening boxes, and Ubisoft played into that a bit with the inclusion of weapon boxes that can be located throughout the map. These boxes give you new weapons, or new weapon attachments, and serve to provide an additional reason to clear a town of baddies, even if unrelated to a mission. The skill tree functions similarly, though it uses a system of resources that can be ‘tagged’ for the resistance in the area. These include communications, medical, fuel, etc. and you have to have accumulated a specific quantity tagged in order to combine them with your earned rank ups for various skill perks. The additional side missions for resources adds yet another layer to the gameplay as well, which is good considering my aforementioned stance on the main story. Graphically speaking, I am unsure that there is any game of this scope and magnitude that can rival what Ubisoft has been able to do. Although there are small issues such as synching of the character models when talking, there is no doubt that every element is accounted for in a particularly detailed manner that is often breathtaking. Even sitting in the loadout screen and tinkering with my weaponry was beautiful and engaging graphically. It is worth noting here that the depth and breadth of available weaponry is very cool and brings back the tactical side of the game, which I personally appreciated. The character models and textures are among the best that I have seen if you can run them at Ultra, and the weather effects keep you feeling that the persistent world is alive around you. Although the world seems alive, the AI does the best it can to remind you that it is in fact, only a game. Once the battles are going full bore, and the AI’s are aware of your presence, there is no doubt that they are very advanced in their ability to kill. The problem is that it is easy to take them out one by one if you are stealthy, and many missions can be completed with a long-range sniper rifle that has a suppressor. Your squad is similar, as they will kill well when engaged, but often put themselves into awkward positions and trip alarms or notify guards of your presence. If you are with a group of nominally talented players that take the place of your squad, it is hard to fail at all if a tactical approach is taken, thus underlining the departure this game has taken from its series’ roots. I think that many of the issues, like linear progression and limited AI, that I have with this game are root issues that many ‘open-world’ games have, and therefore not worth holding Ubisoft directly responsible for. I had high hopes that they had been able to figure some of this out, as I believe there will be a day when open-world and story driven will live together in one game harmoniously, but unfortunately this game was no game-changer. When factoring the truly terrible ‘Crazy Taxi’ driving mechanic, Wildlands is at best a tactical-ish version of GTA or Farcry. That distinction is not offered with anything but respect, as both of those games are great, but I had hoped for more.